Everything you need to know about Italian healthcare from the Farmacia to the Ospedale. The National Health Service in Italy is called the Servizio Sanitario Nazionale (S.S.N.). Whether you are an EU or Non-EU citizen once, if you have become resident in Italy and registered with the S.S.N. you are entitled to receive the same health care and treatment as Italian citizens. The health service is financed from income tax and government subsidies, making the service mostly free. With the life expectancy of Italians being 83 they must be doing something right. 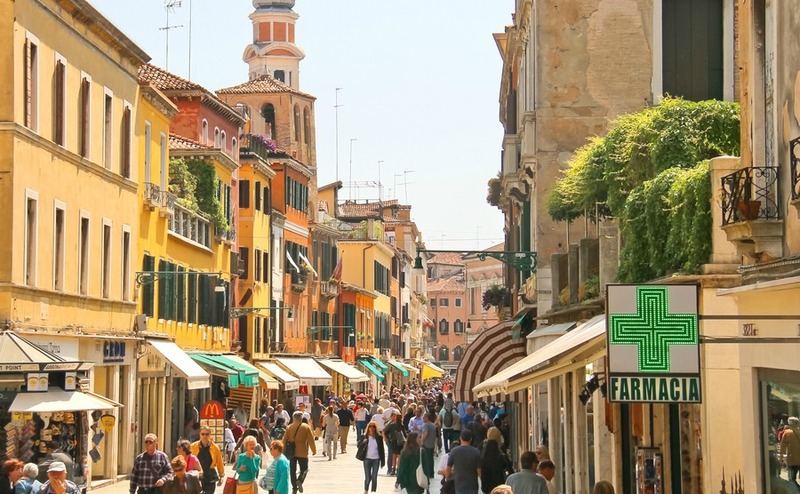 If you spend less than three months in Italy you won’t have an Italian Personal Healthcare Card (Tessera sanitaria personale), but whilst the UK is still in the EU you should always take your European Health Insurance Card (EHIC) with you to Italy. The card can be applied for free, online at www.ehic.org.uk (beware any websites that ask you to pay, they are bogus). If you need to go to the hospital just show them the card and you will receive free or reduced rate treatment. But note, it isn’t an alternative to travel insurance. It won’t cover private medical healthcare or costs, such as mountain rescue in ski resorts, being flown back to the UK, or lost or stolen property. The EHIC does however cover all treatment that is needed for you to continue your stay, including pre-existing medical conditions and routine maternity care. Even if you don’t have one of these cards you will be treated in an emergency but any charges will be billed to you afterwards. You will also get a visit from the police to check you do really live here, so don’t be alarmed! For minor health problems, simply look out for the illuminated green cross, as pharmacists are well qualified to give help and advice and even sell some items over the counter that would require a prescription in the UK. This has proven useful when a tourist’s inhaler has run out or they have needed some antibiotics for an infected mosquito bite, both of which are cheaper here than a UK prescription charge. Pharmacies generate money on less urgent products such as paracetamol, cough mixture, vitamins etc. which can be quite expensive. You can’t buy medicines in supermarkets here, so it’s worth stocking up on supplies on trips back to the UK. Once you have your Italian health card you can show it at the pharmacy to get a discount and prescriptions from the doctor are either free or at a subsidised rate. If you need an ambulance, call the emergency number 118 and you will be asked what service you require. 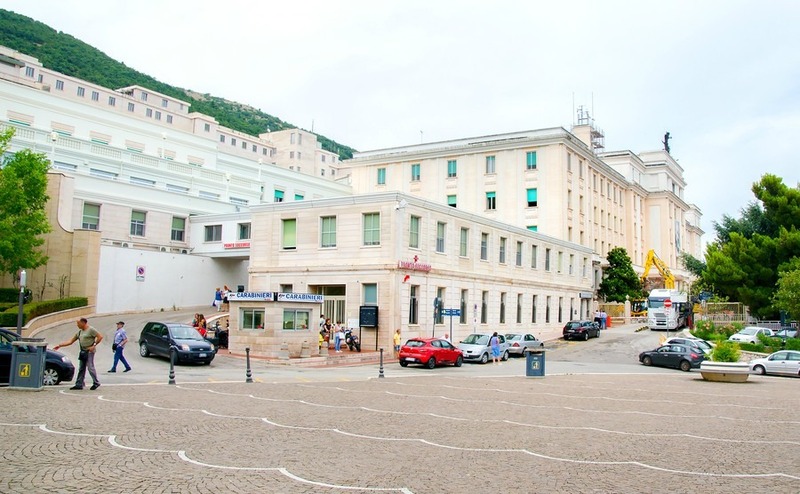 If you can get to the hospital by yourself, head to the emergency department (pronto soccorso). Should you need urgent medical treatment and are unable to get to hospital you can also call the local duty doctor service (guardia medica). Numbers can be found in the local telephone directory for where you live. If you are going to live in Italy full time the first stage before registering for your Personal Healthcare Card (Tessera Sanitaria) is to get your Full Residency permit (permesso di soggiorno). 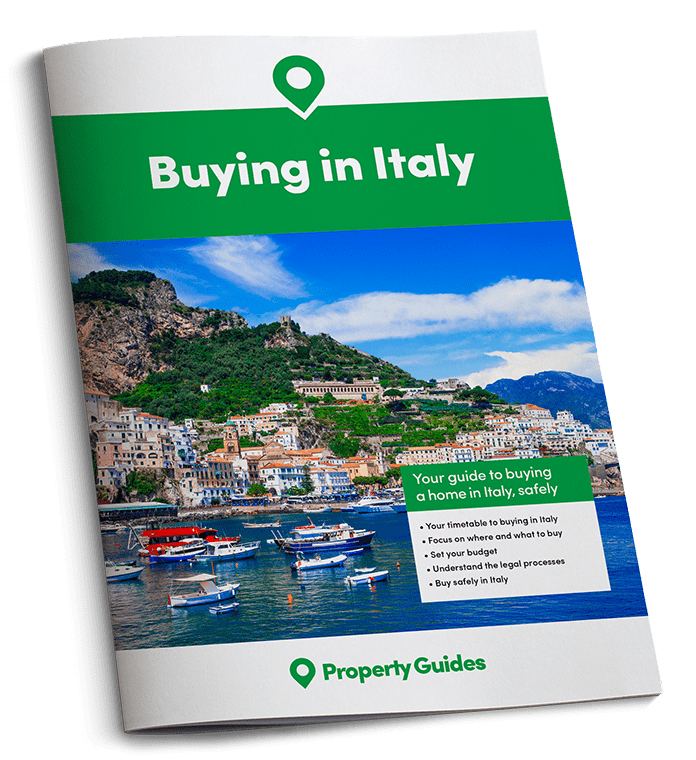 To get the residency permit you need: a bank statement showing you have sufficient funds to support yourself in Italy, your passport, a fiscale number, four passport-size photos, proof of address and health insurance. You will also get a visit from the police to check you do really live here, so don’t be alarmed! Once you have your Identity card (carta d’identità) you can register with the local health authority (Azienda Sanità Locale A.S.L) who may ask to see your Permesso di Soggiorno (permit of stay), your passport, your Codice Fiscale (tax identification number) and housing contract or certificate of residence. You will also be assigned a GP or given a list of doctors to choose from. Your Tessera Sanitaria will then be posted to you when it’s ready. To cover you until it arrives make sure they print you a paper version of the card. The Tessara Sanitaria card itself is the same size as a bank card and on the back is the tax code, barcodes, a magnetic strip, and the words, Tessera europea di assicurazione malattia (TEAM), meaning “European health insurance card” which means you can also use it in other EU countries. If your application is considered mandatory, for example, you are employed/self-employed or have been resident in Italy for over five years the card is free. Although, there is some confusion on a local level so it’s best to not to ask questions and just apply and see. At worst you may have to pay for health insurance for the first five years of residency or apply for voluntary registration, which can cost around €390 a year. You will find doctors in Italy dotted all around the town. Often it will be just a door in the middle of a normal residential street with a glass cabinet on the wall displaying the surgery times. Most days you can just turn up and wait your turn, but there are also some appointment-only days. They often don’t have a receptionist so you just take a seat and ask who was last in before you. People will also pop in to check the tray for their prescriptions and if someone comes in looking particularly ill no one minds them jumping the queue. From my own experience recently, I waited about an hour to see the doctor without an appointment and then made an appointment for the next appointment day four days later, with no problem at all. Most Italian doctors don’t speak English, and medical words probably weren’t on your learn Italian course either. But, they do have computers with google translate, so by using that and hand gestures you can have a constructive if occasionally rather amusing consultation. I usually go prepared with my list of symptoms already translated and printed out. If the doctor wants to refer you to a specialist or for a test at the hospital, they print out a small form which you take to the hospital reception/ticket office to make an appointment. An A&E department of a small town hospital usually works in the same way as the doctors surgery. You just wait your turn and more urgent cases get priority. Hospitals in major cities tend to have more facilities and specialist departments so for certain emergencies patients may choose to go directly to a city hospital. If you have been sent to the hospital by your doctor to make an appointment with a specialist or for tests, you must first go to the ticket office. They will make all your appointments for you on the spot, for whichever department it is, checking dates and times with you and even booking at a nearby hospital if there is an earlier date available, or they have a specialist department. Then you will be given a print out of your appointment details. I got an appointment for a non-urgent scan within a week. There are some services that you are required to pay a set “ticket” price for, such as an ultrasound scan, but it is usually very reasonable. Each local authority is responsible for its own finances, so the “ticket” price will vary from place to place. My local hospital in Puglia is currently charging €46.15, but I have heard of higher amounts in the North. You may choose to take out private health Insurance. If you need inpatient care it might allow you to get a private appointment quicker and in some parts of the country, particularly in the North and around cities there are some excellent private hospitals, which are among the finest in the world – with short waiting times, impressive facilities and world-renowned doctors. Treatments vary in cost but are regulated by the Ministry of Health. Some of the big international insurance companies you see advertising quote high prices. I was recently quoted from €1,485 upwards, by one company that compares prices from 8 different worldwide insurers like Cigna, AXA and Bupa. As I only wanted cover to show the local authorities as part of my application for residency, I just went to a local Insurance agent and asked for the cheapest cover that would be accepted with my residency application. I ended up with the most basic cover, which cost me £150 for the year. Whatever level of cover you want it is worth shopping around both online and locally and asking other local expats for recommendations and to share their experiences. As much as I have attempted to make this guide informative and correct, you may find your local authority has a different interpretation of the complicated guidelines they are given. From the stories I have heard from some expats this situation more often than not worked in their favour, as healthcare providers are more concerned with helping someone who is sick or injured than filling in forms and taking your money. For more information see this official leaflet.